A woman folds clothes by rote, eyes fixed to a soap opera muted on the laundromat’s TV. As she weeps over a tragic plot twist, her hands never stop folding, pounding the table in an unceasing metronome of productivity. Laundress Ching Valdes Aran in Every Fold Matters. This moment, lifted from life and transcribed to performance by playwright/director Lizzie Olesker and experimental filmmaker Lynne Sachs, becomes one of many striking, reality-based images in Every Fold Matters, a new site specific performance with film that premieres in a Clinton Hill, Brooklyn laundromat this month. Exploring the intimacies that emerge between strangers through their clothes, the 40-minute theater piece is based on interviews conducted by Olesker and Sachs with laundromat workers throughout NYC during the past year. Originally intending to film the interviews for a hybrid documentary-theater piece, the work is now a compilation of fiction and reality, the script drawing largely on true anecdotes which they heard but were not permitted to record. 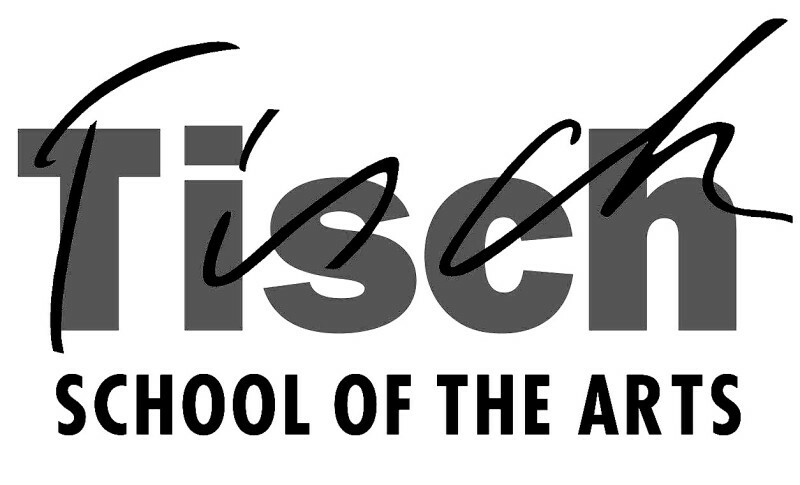 The project began nearly two years ago, when Olesker was commissioned by producer Emily Rubin to create what would become Every Fold Matters as part of the 10 year anniversary of Emily Rubin’s reading series “Dirty Laundry: Loads of Prose” by Wash and Dry Productions. Originally inspired by Rubin’s desire to find a non-traditional public space for creative workshops, the series has now successfully hosted more than 30 readings in laundromats, showcasing more than 100 writers over the past 10 years. In 2014, Olesker received a grant from the Brooklyn Arts Council to further develop and produce Every Fold Matters. It wasn’t long before the hybrid documentary partnership with Sachs organically emerged; the two women live within a block of each other and have a number of mutual friends in the arts, but had never collaborated before. Sachs, currently a Guggenheim Fellow, usually works as an adjunct professor at NYU Tisch School of the Arts, where Olesker also teaches. The piece now incorporates elements of documentary film, contemporary dance and movement, and sound design by musician and aural artist Stephen Vitiello. Although its form—as well as content—is still evolving, the play has already come far from the initial conception of basing the script on documentary interviews with laundry workers. “Initially we hoped to record video interviews with them, all over the city,” remarked Olesker. But this quickly proved difficult. Many workers refused to speak to them at all—adding a camera into the equation was even more off-putting. There was a language barrier, too. Many of the workers they spoke with had limited English vocabularies, often restricted to terminology surrounding laundry. A conversation about a broken machine is more possible than candid conversations about their past, their most bizarre experiences on the job, and general reflections on the work they do and the people whose clothes they wash. 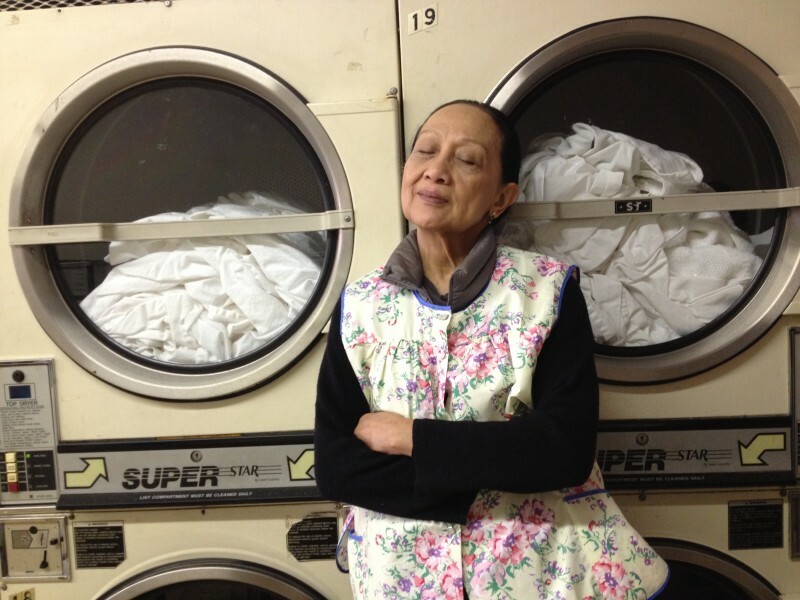 Bringing in a Chinese translator allowed Olesker and Sachs new levels of access at some laundromats, establishing trust and eliciting stories. But it still wasn’t enough to get more than a handful of laundry workers to go on tape. Even with full communication possible, the majority of the workers were tight lipped. Whether for fear of repercussions from management, mistrust of how their stories would be used, or reticence as a code of conduct, the reluctance was so widespread it was itself indicative of something about the job. This spirit of refusal is wound throughout the piece in recurring sequences of chaos, in which the denials are spoken simultaneously by multiple actors, in three languages; one doesn’t need a translator to understand they’re saying no. Olesker and Sachs decided to continue pursuing the interviews, but without the camera. “We couldn’t record the interviews, but we could listen,” said Sachs. Their notes and impressions fueled the hybrid documentary-fiction nature of the script—a visceral compilation of the human stories which unfold during the minutiae of domestic work, in which there is no shortage of conflict. Customers are displeased with a worker’s ability to get out a tough stain. They make a scene and refuse to pay. Others accuse the laundress of theft. And the infighting doesn’t end between customer and worker. The customer versus customer interactions are equally fraught and can escalate quickly. The play opens on two customers battling over the use of a dryer: Customer ONE’s clothes were removed by Customer TWO. Unacceptable. Customer ONE retakes the dryer, hauling out the offending load, still dripping wet. The dryer is still contested. “It doesn’t belong to you!” cries Customer TWO. “Or you!” retorts the first. Instead of having discrete characters, the four actors each inhabit multiple characters and are named with numbers: ONE, TWO, THREE, and FOUR, to be played by acclaimed performers Ching Valdes-Aran, Veraalba Santa, Tony Torn, and Jasmine Holloway, respectively. As co-directors, Sachs and Olesker are working with the four to build a vocabulary of movement and gesture for the work with clothing. Beginning with the routine of folding clothes, their movements swell into the theatrical—and then shrink back into realism. As the actors inhabit the language of the piece, they bring their own experiences to it—and to the script. Jasmine Holloway, who plays FOUR, recollected during the process that her grandmother worked as a washerwoman. Encouraged by Sachs and Olesker to ask her about her experiences, and despite her grandmother’s initial reluctance, Holloway learns that her grandmother is a third generation washerwoman—her great-great grandmother was a member of a groundbreaking movement in Atlanta during the summer of 1881 by African-American women to unionize the underpaid, overworked washerwomen, organizing as “The Washing Society.” They wouldn’t have the vote for another 40 years, but their strike was a success; it would become a seminal moment in labor history. Primary sources describing their efforts are now incorporated into the script and, as FOUR, Holloway portrays the ghost of a washerwoman past for much of the show. The ghost of “The Washing Society” provides a historical context for the piece, balancing it against the absurd, often cruel, altercations which take place inside the present-day laundromat. The legacy of domestic work, the issues surrounding power, and the exchange of money for services are all potent themes which rise to the surface and bubble over in dramatic, thrilling escalations of the everyday. A laundromat is a public space where something private occurs; it is the opposite of a typical theater, a private space in which a public event occurs. Nearly every element of Every Fold Matters pushes the boundaries of what is private and what is public, what is real and what is fiction, and where we find narrative fulfillment in any of the above. That magic is present throughout Every Fold Matters, from the clothesline peppered with miniature garments, pulled out of an actor’s pocket, to the collisions of printed words on clothing in a magnetic poetry-esque sequence, created by local painter Jessica Weiss. As FOUR says, no longer a ghost, but as herself remembering her grandmother’s words: “Listen! I am passing this down to you. […] Take your time. Make every fold matter.” These are words to live by at the laundromat and perhaps everywhere beyond: It matters. Every single fold. Every Fold Matters, created by Lizzie Olesker and Lynne Sachs, produced by Emily Rubin, will be performed Feb 12 – 14 at 8:30 pm, at New Lucky Laundromat (323 Lafayette Ave, at Grand Ave in Clinton Hill, Brooklyn). Suggested donation $10. Seating will be limited.